Your art gets plenty of likes and nice comments. But what about sales? Look past the feel good for a second and consider that those likes and comments are mostly from friends, family and others who are also trying to sell their art. Are those people likely to buy your art? Well, maybe Mom might buy something. What we need is qualified buyers--people with buying intent. We need potential buyers clicking through to our art. But how? I have been there. Countless posts on different social media sites had cost me lots of time and effort with hardly any results. Nothing really worked until I discovered (by accident) the huge potential of a site that I mostly ignored: Pinterest. Did you know that 55% of Pinterest users use the site to look for things to buy? Wow! Plug me into that! How do we access this vast potential? Yes, I had a Pinterest account, but I had no idea what I was doing. Like a dog on a bone, I dove in and learned all I could learn. Let me now shorten your learning curve so you too can get the right eyes on your art! In the first chapter of my course I will describe in detail why I fell in love with Pinterest (Hint: I made $442 in art sales on Fine Art America in one day) and why it changed everything. You can read this chapter (and some others) for free, just click here and enjoy your Free Trial (no credit card required)! Sick of wasting your time with social media? Struggling with ‘promoting’ your art on Facebook, Instagram and Twitter and investing hour after hour of your time without seeing any sales pour in? Most people are on Facebook to connect with their friends -- or watch those cute cat videos. They are not in a buying mood most of the times so your promos may just disturb them. Are you using Instagram? Great app, love it. I always get lots of nice hearts and even some comments when I post a new pic. But did you check how many people click through your Artist Website? Almost no one. On the other hand, did you know that 87% of pinners have purchased something they saw on Pinterest (Source: Millward Brown)? This is amazing! People use Pinterest to get inspired, they collect pins to help them with their purchasing decisions. Brands are really welcome on Pinterest and Home Decor is one of the most popular categories. There is much more you will get, scroll down to read the whole Course Curriculum! But wait, there is even more (hint: personal support)! But you will get access to all the course discussion forums (we have one for each chapter of the course) where all students can ask their questions and I will answer them as soon as possible. In your welcome email, you will even get my email address (if you want to ask something that will not fit in the forums). This is quite unique for an online course in this price range and a real value you won’t find in other places! How would it feel to get great sales, again and again? 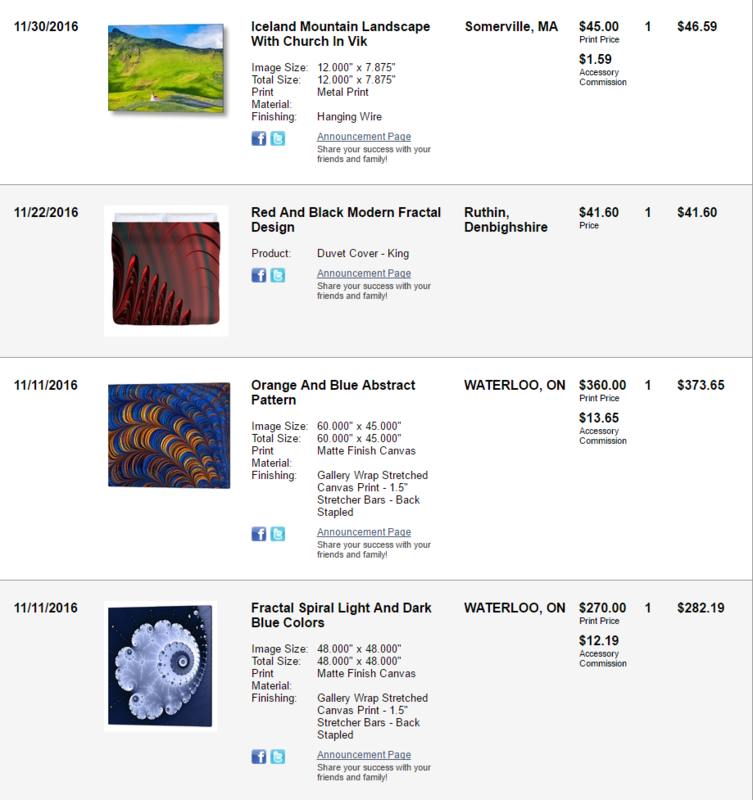 A revenue of $744.03 from online sales (via Fine Art America) in less than three weeks was nothing I experienced in my Pre-Pinterest age. Had it been easy to get these results? Heck no! I invested lots of time in reading everything I could find and trying out many different things. I felt stuck several times because some of the articles I found online were full of outdated, inaccurate or even completely wrong information. To put it politely, they were well-meant and probably a fit for bloggers, but of very little help in selling art with Pinterest. 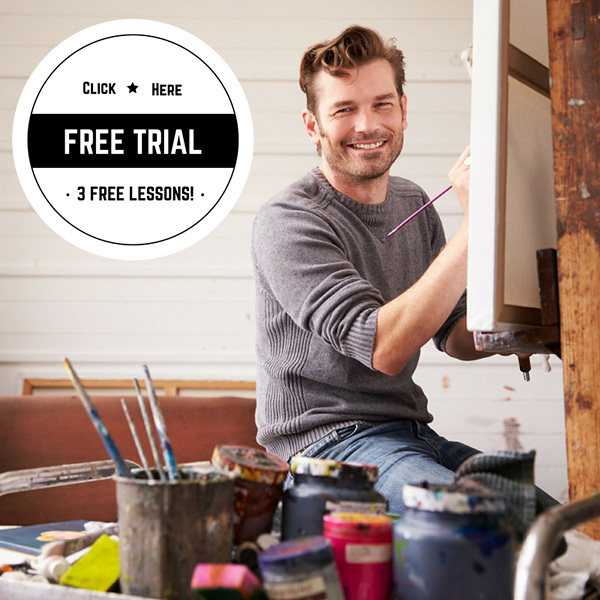 Get three lessons for free, try befor you buy! Yes, give me access to my 3 Free Lessons! "I like the way you are presenting things. Well done, I'm hooked already." "Website visits are up 500%, and visits are coming 15 to 1 from Pinterest over Twitter. I have about 1,200 followers on Twitter and 14 on Pinterest..."
"By the way, I had my first sale on FAA five days after starting the course and working on Pinterest." Post the link to your Pinterest account here! Lesson 7: The importance of "Fresh Pins"
Ask yourself: What is your goal on Pinterest? Chapter 11: The action starts now!